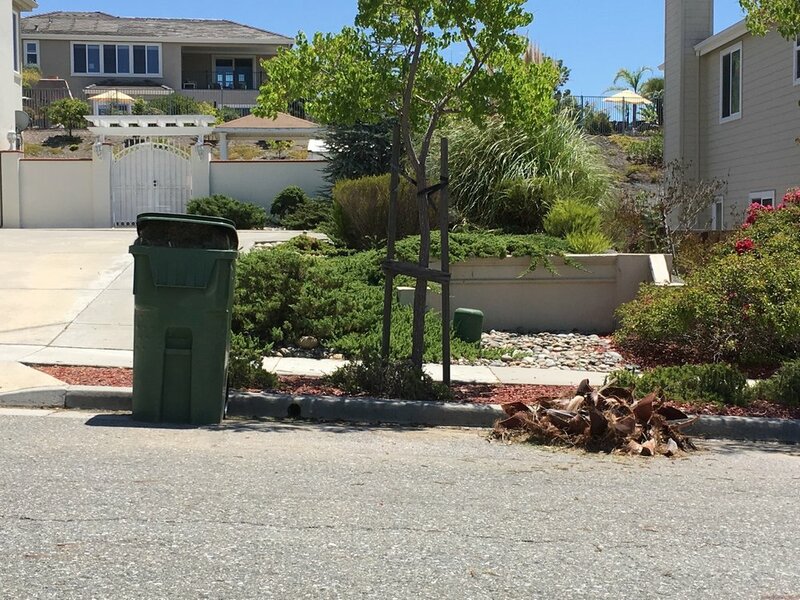 In order to accurately reflect the architectural and socioeconomic difference between the two housing developments in this south-east San Jose neighborhood, I collected from two different yard waste piles. For the first collection, I drove through the newer development of large single-family homes on wide lots with big views. It was easier to find landscaping crews actively working than it was to find yard waste here. Most people had their gardeners take the waste away. After 20 minutes of driving around I found one pile with palm fronds and grass; the grass in a bin, palm fronds on ground. The second pile I harvested was from the development of older (1980s?) single-story, single-family homes. There were piles all over in this neighborhood. The second pile yielded much more variety with seed heads and Japanese maple. In 40 minutes of driving I observed 8 landscaping/gardening crews and 2 tree crews.